At Kearny Mesa INFINITI, we’re here to get you into a car that you love that also works for your budget! Take a look at all of our offers here to see what will work for you, if you don’t find the perfect new INFINITI in San Diego here, take a look back soon and we’ll have new offers for you! We’re also offering great certified pre-owned INFINITI cars for you to take a look through! 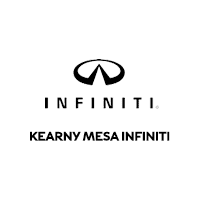 Contact Kearny Mesa INFINITI today!